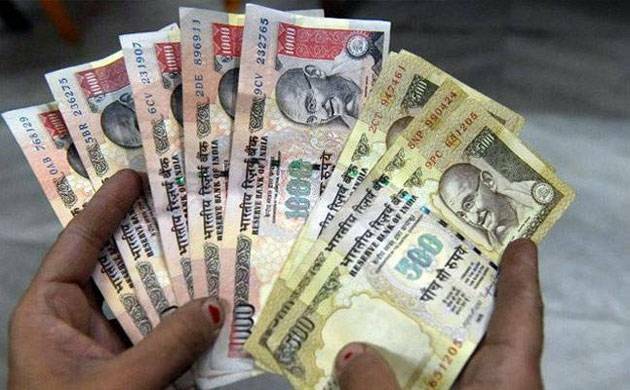 Reserve bank of India has revealed that 99% of the Rs 500 and Rs 1,000 notes have returned to the banking system. This prompted the opposition to question the efficacy of the government's unprecedented note ban decision to curb black money and corruption. The Reserve Bank, which has so far shied away from disclosing the actual number of junked currency deposited after November 8 last year, said in its Annual Report for 2016-17 that Rs 15.28 lakh crore of the junked currency had come back into the banking system, leaving only Rs 16,050 crore out. As on November 8, 2016, there were 1,716.5 crore pieces of 500 and 685.8 crore pieces of Rs 1,000 in circulation, totaling Rs 15.44 lakh crore. Post-demonetisation RBI spent Rs 7,965 crore in 2016-17on printing new Rs 500 and Rs 2,000 and other denomination notes, more than double the Rs 3,421 crore spent in the previous year. The demonetization was hailed as a step that would curb black money, corruption and check counterfeit currency but RBI said just 7.1 pieces of Rs 500 note per million in circulation and 19.1 pieces of Rs 1,000 notes per million in circulation were found to be fake in its sample survey. The opposition was quick to seize on the data to attack the government with former finance minister P Chidambaram saying,"RBI 'gained' Rs 16000 crore, but 'lost' Rs 21000 crore in printing new notes! The economists deserve Nobel Prize." "Rs 16,000 cr out of demonetized notes of Rs 15,44,000 credit not come back to RBI. That is 1 per cent. Shame on RBI which 'recommended' demonetization," he tweeted. Chidambaram also wondered if demonetization was "a scheme designed to convert black money into white?". Samajwadi Party leader Naresh Agarwal said his partywould move a privilege motion against RBI Governor Urjit Patelfor misleading a parliamentary panel on the issue. RBI said just 8.9 crore pieces of Rs 1,000 notes or 1.3per cent of the scrapped ones have not returned.It, however, did not give a specific number for the old 500 rupee notes. "Subject to future corrections based on verification process when completed, the estimated value of specified banknotes (SBNs) received as on June 30, 2017, is Rs 15.28 trillion," the central bank said. After the note ban, old notes were allowed to be deposited in banks, with unusual deposits coming under income tax scrutiny. A collateral damage as a result of rising in printing and other cost was dividend RBI pays to the government. RBI said its income for 2016-17 decreased by 23.56 percent while expenditure jumped 107.84 per cent. "The year ended with an overall surplus of Rs 306.59billion as against Rs 658.76 billion in the previous year, representing a decline of 53.46 per cent," it said. The government replaced old Rs 500 notes with new ones, but no replacement for Rs 1,000 notes have been made. Instead, a new Rs 2,000 note was introduced post note ban. RBI said there are as many 588.2 crores of Rs 500 notes, both old and new in circulation as of March 31, 2017. As ofMarch 31, 2016, there were 1,570.7 crore Rs 500 notes incirculation. As many as 328.5 crore pieces of new Rs 2,000 notes werein circulation as on March 31, 2017. Besides, new Rs 500 and Rs 2,000 notes, the RBI has alsocirculated new Rs 200 notes last week. Former RBI Deputy Governor R Gandhi said demonetization-will have a long-term impact. Expectations of various quarters that sizable portion of the demonetized currency won't return have not been fulfilled.